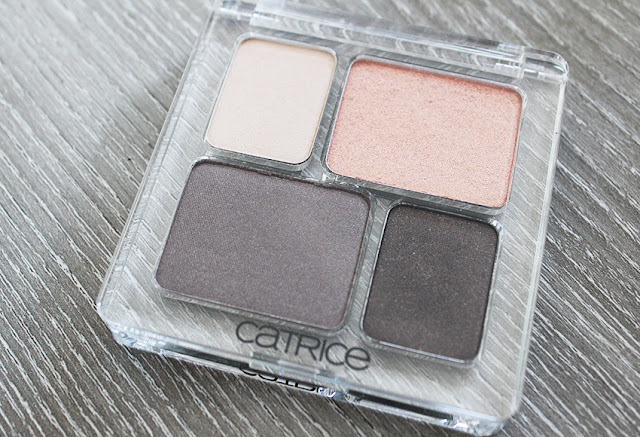 Catrice was a brand I knew I had to get my hands on since it's not readily available in the states. This German brand is found in Kruidvat drugstores in the Netherlands so their prices are very reasonable but their packaging is some of the best considering what you are paying. I've heard many raves about their eyeshadows so I picked up one of their eyeshadow quads. Of course I gravitated towards the neutral palette called Never Let Me Go! The novel by Kazuo Ishiguro of the same name is one of my favorite stories ever so this was an added bonus. The packaging is clear plastic which reminds me a lot of Shu Uemura's packaging. The plastic has a nice weight and feels very durable. Overall, I really love the packaging as it makes the product seem much more expensive and it is very easy to see the colors inside. Another great thing about the packaging is that each of the eyeshadow weights are listed separately. Oftentimes palettes will state the total amount of product but when not all the pans are the same size, you can't tell how much more of a shade you're getting. The palette cost €4.59 which is about $5.91 which is on the inexpensive, affordable end. 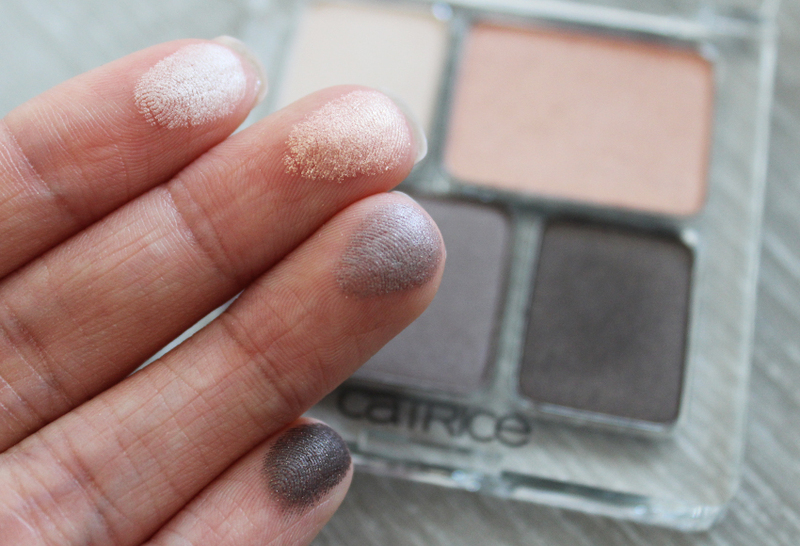 Despite all of the great things about Catrice and the palette, the actual eyeshadow quality leaves some things to be desired. As you can see above, the shadows obviously yield pigment. The two darker shades are the smooth and more easy to work with while the light champagne is a bit drier and the peach shade is gritty. 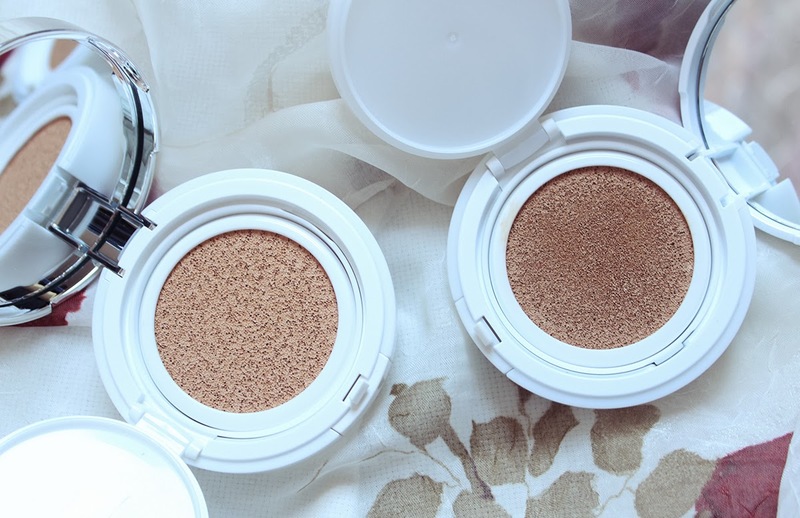 A good eyeshadow base is definitely necessary with all of these eyeshadows. The peach color is a real disappointment because it looks beautiful in the pan but chunky glitters make the formula uneven and patchy. I have tried applying the shadow several times and every time the color fades with a few blinks. The gray taupe shade is quite smooth and looks nice as an all over the lid shade but the staying power is not phenomenal and a colored base would definitely be helpful. 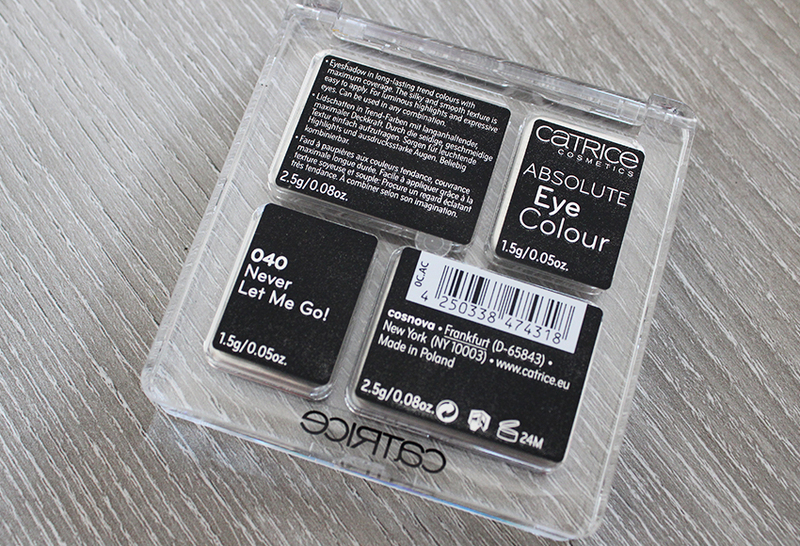 Never Let Me Go might have been a dud but I have not given up on Catrice eyeshadows. In fact, I bought two of their single shadows and their performance really depends on the texture of the shadow. There are some very beautiful and well performing shimmers while the more glittery shadows are harder to work with. 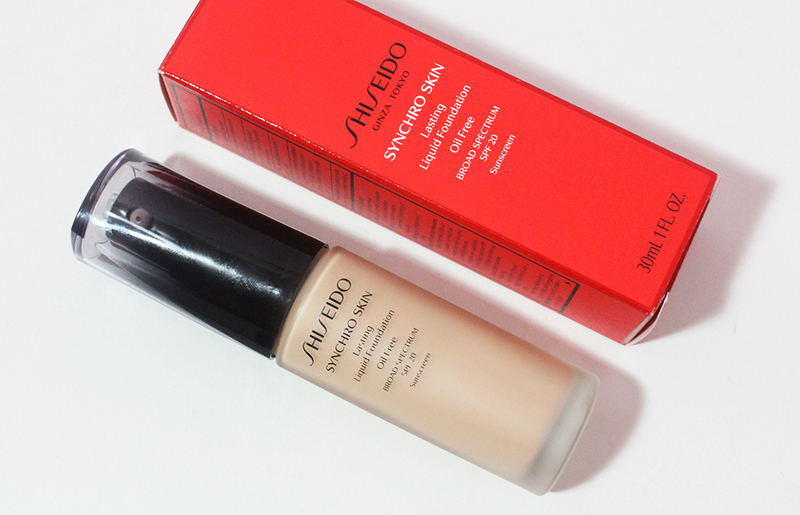 Swatches and full reviews on those will be appearing on the blog soon. I've had the same problems with other shadows. Pigmented darks and chalky-ish lights.